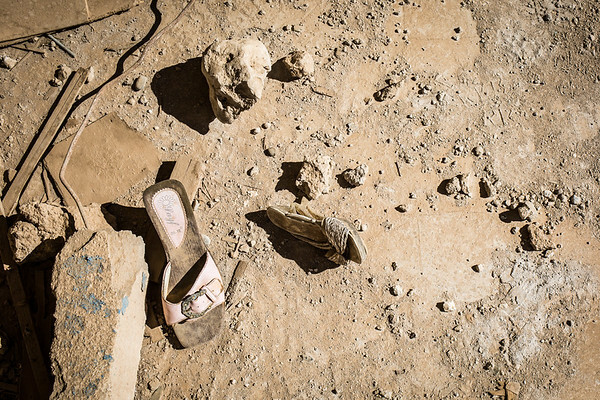 Shoes and crumpled clothes discarded in panic by people on the run still litter the streets of Sinjar. Women paid the highest price when IS group attacked the city in August 2014. Nearly 7,000 Yazidi women were enslaved and brutalised by IS fighters. Four years on, some 3,000 women and children are still believed to be enslaved by IS.